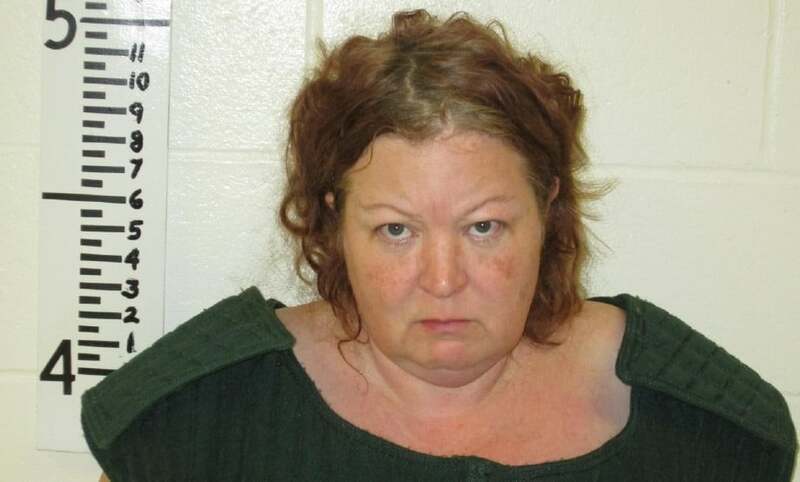 Pictured Maine woman, Kandee Weyland who was charged with the murder of her ex husband, Scott Weyland. Kandee Weyland stabs her ex husband to death after losing full custody of their two children during an acrimonious divorce where both husband and wife took an order of protection against each other. 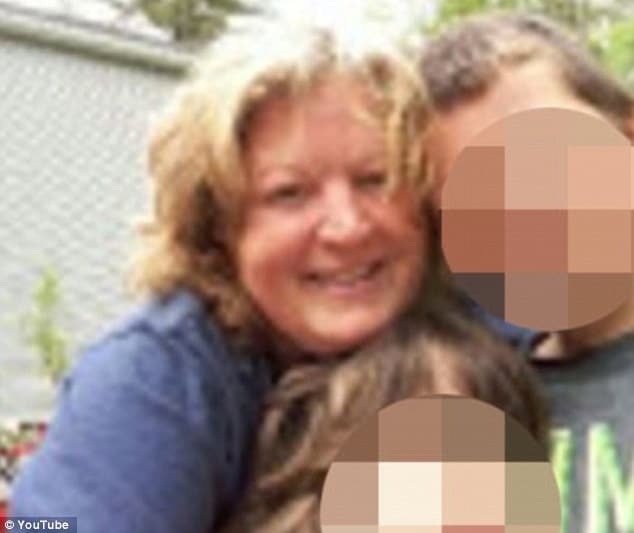 Kandee Weyland a 46 year old Acton, Maine woman has been charged with murder after stabbing her ex husband to death upon discovering the man winning sole custody of their two children. 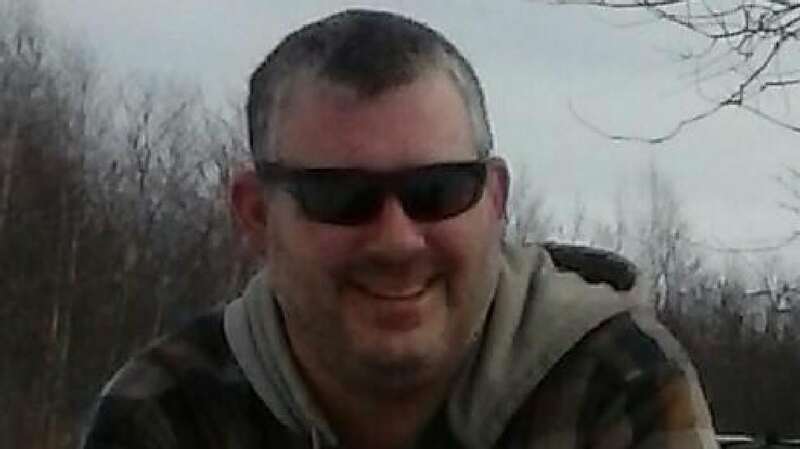 The woman’s arrest Wednesday night came after violating a protective order her 42 year old husband, Scott Weyland had placed against the wife. A report via WMTW told of the murder being witnessed by the couple’s two children, aged 7 and 11. 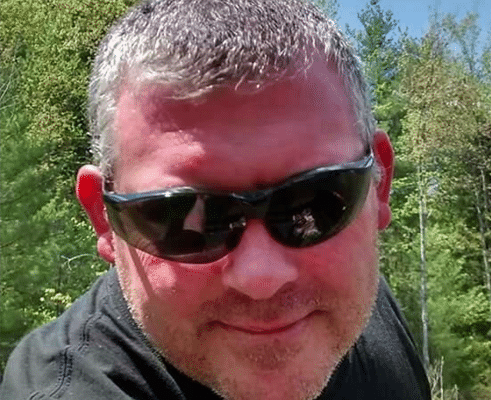 Authorities said the father-of-two suffered severe injuries in the yard of his mother’s home at 1097 Milton Mills Road in Acton on Wednesday afternoon. Despite being rushed to Goodall Hospital in Sanford, the man mortally succumbed to his injuries. A report via the Portland Press-Herald cited the victim’s mother, retired Sanford police detective Gay Weyland, saying her son’s divorce had recently been finalized after an acrimonious 10-month legal battle. The mother said her son’s former wife becoming incensed upon receiving mail from the court on February 17th with its final decision. Court papers told of the wife losing all custodial rights with full custody being awarded to her ex husband. The victim’s mother said her son lived with her since his separation from his wife in April 2016. Pictured, Kandee Weyland husband, Scott Weyland. Matters came to the fore when around 1pm on Wednesday, Gay Weyland said her former daughter-in-law drove to her home with her two children in tow and rammed her son’s vehicle parked in the driveway. When Scott emerged from the house to find out what was happening, his mother said Kandee jumped out of her car, confronted him and began stabbing him in the yard. The grandmother told of the couple’s two children witnessing the bloodshed, with her 11 year old grandson calling 911. Gay Weyland was not home at the time of the incident. Court documents filed in the custody case paint a picture of Kandee Weyland as a woman spiraling out of control and unable to provide for her children due to her struggles with depression, anxiety and post-traumatic stress disorder noted the dailymail. According to the findings of an investigation carried by the Department of Health and Human Services, the home in Acton that Kandee shared with her son in daughter was uninhabitable owning to the fact that it was cluttered, had a flooded basement and a broken boiler. Kandee Weyland victim, Scott Weyland. A judge concluded that the woman’s ability ‘to provide a safe, clean, secure and comfortable home for the parties’ two minor children is severely compromised, adding that she was at risk of becoming homeless in the near future. Both the husband and wife had filed orders of protection against one another just days apart last April. Scott Weyland accused Kandee in a written statement of using the order to ‘threaten and intimidate’ him. He also claimed that on one occasion, his wife pointed a gun at his head and tried to steal his car while he was at work. Wrote Scott of his wife: ”I believe her erratic behavior is a good reason for her to not have contact with me or our children’, according to WGME. On her part, Kandee accused Scott of being physically and emotionally abusive towards her. She claimed that her husband of eight years had struck her on four occasions and pressed a finger into her throat. On Thursday, the victim’s mother called Kandee manipulative and dismissed her accusations agaisnt her late son as baseless. Of note, the couple were married on Valentine’s Day. A Friday afternoon report via the Portland Press Herald cited Kandee’s mother, Linda Griffin saying her daughter was pushed over the edge by years of domestic abuse that was ignored by local police. The woman went on to say attempts to seek help were ignored because her husband’s mother is a retired Sanford police detective. Reiterated Griffin, ‘My daughter is not a killer’. Appearing in court Friday afternoon Kandee Weyland was ordered to be held without bail.